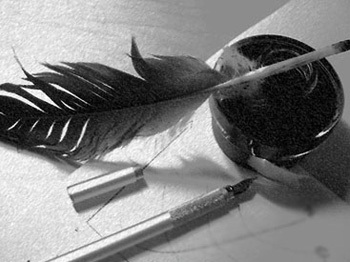 The literary councils has important role in the development of Azerbaijani poetry in different periods. Such councils from time to time functioned not just Baku but in different cities of the country and facilitated and paved the way for recognition of many bright persons. XIX century can be regarded as the most productive period in respect of the emergence of the literary councils. At that period literary councils named as Divani-Hikmet in Ganja (then Tbilisi), Majmaus-shuara in Baku, Beytus-Safa in Shamakhy, Gulustan in Guba, Fovjul-fusaha in Lankaran, Majlisi-Uns in Garabakh and Majlisi - faramushan were very popular outside of Azerbaijan. 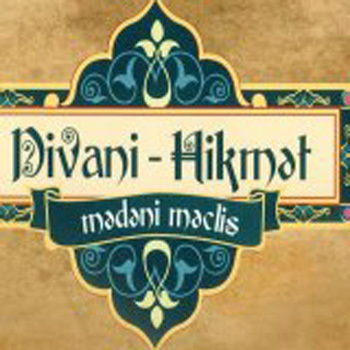 Divani-hikmat (House of Wisdom) was one of the first literary councils established in Azerbaijan. It was established in 1820-1830 in Ganja by the poet Mirza Shafi Vazeh and in 1841 due to its shifting to Tbilisi it operated during 1841-1846 in Tbilisi. At councils of divan besides Azerbaijani poets masters of word of Russian, German and other nationalities participated, too. Divani-hikmat until the death of Mirza Shafi (until 1852) functioned in Tbilisi and until the death of Mir Mehdi Naji (until 1882) in Ganja. Anjumani-shuara (Poets council) literary council was organized by Sheykhali khan Kangarli in 1831 in Ordubad. In 70-80-ies of the XIX century the council led by Haji agha Fagir Ordubadi and later by Mohammad Taghi Sidgi. The council operated with different intervals and took the progressive path during these well-known writers and poets. After the death of Fagir and shifting of Sidgi in Nakhchivan the council was weakened and suspended its activities in 1890-1895. Majlisi-uns” (Friendship Council), a literary gathering was organized in Shusha in 1864 on the initiative of the poet Mirza Rahim Fana. The classes of the council held at the house of the poet Haji Abbas Aga and initially there were four members in the council. However, in 1872, after Khurshudbanu Natavan took care of the council its activity revived, and the number of its members increased up to thirty and its popularity spread out the Garabakh boundaries. In Majlisi-uns along with well-known poets from Garabakh the famous singers and saz players took part, too. Majlisi-faramushan (The council of forgotten) or Majlisi-khamushan (The council of silent, peaceful people) is the literary council established in 1872 on the initiative Mir Mohsin Navvab in Garabakh. Its active members were Hasanaliaga Khan Garadaghski (Garadagi), Abdullah bey Asi, Sadi Sani Garabagi (Chinli), Fatima khanum Kamina. Classes of the council were held at the home of Mir Mohsin Navvab. Majlisi-faramushan operated until 1910. Garabakh singers took an active part in this council. In the mid of 40 and 50-es of XIX century one of the literary councils established in Lankaran was called as Fovjul-fusaha (Group of orators). The well-known poet and teacher Mirza Ismail Gasir led this council where various professional participated. Its main members were Molla Alakbar Ajiz, Mirza Isa Khayali, Huseyngulu Shuris and others. They used to read the works of the classics, write imitative poems on their poems. In the middle of XIX century, the literary council functioning in Shamakhy was called Beytus-safa (Comfort, fun house) and established in Shamakhy at home of poet Mahammad Safa, and the name of the council taken from there. The head of the council was Seid Azim Shirvani became popular as the great Azerbaijani poet and key members Mollah Agha Bikhud, Aghababa Zuhuri, Alakbar Gafil and others. Beytus-Safa kept in close contact with Majlisi –uns and Maslisi-faramushan in Shusha and Majmaus-shuara in Baku. Talks on literature, art, philosophy were carried out in council, works of classics are read, and nazira (a poem written to resemble another poem in form and subject; imitative poem) are written on their famous poems, and new ghazals are read and spread by singers. Majmaus-shuara (Poets’ Council) was established in 1880in Baku. The chairman of the literary council was Mammadagha Jurmi, secretary was Agadadash Sureyya. I.Zulali, M.Dilkhun, A.Vaqif, A.Jannati, A.Yusif, K.Salik, M.Musavvir, M.Azar and others were active members of the council. Sometimes, Seyid Azim Shirvani took part in the capacity of the guest. Ghazals of members of the council, the poets, were used widely by mugham singers of Absheron. Gulustan scientific and literary council was organized in the 30-es of the XIX century in Guba with participation of Abbasgulu aga Bakikhanov, Abdullah al-Gadari and Amirali Tahirjanly. The main goal of the council was to have discussions around the religious sciences (especially tasavvuf) and Sufi literature. The classic poets, Sufis used to have reading, wrote nazira (a poem written to resemble another poem in form and subject; imitative poem) on them, and competitions are organized in order to write good poetry; philosophical discussions and debates were held, too.